VISALIA – Felipe Esparza always thought he would finish last in life. But in comedy, getting the last laugh is a first-place prize. As a young immigrant growing up in the projects in Boyle Heights (East L.A.) and then as a teenage father with a drug and alcohol problem, Esparza was asked for the first time what he wanted to do with his life. Never having thought about life after his 18th birthday, Esparza decided he wanted to be a stand-up comedian because it would make him, and others, happy. After 17 years of stand-up comedy, various television appearances and two movies, Felipe walked away with the title prize on NBC’s “Last Comic Standing” in 2010. In 2012, Felipe produced and released his first one-hour stand-up special, “They’re Not Gonna Laugh at You”, for Showtime. It is currently available on DVD and Netflix. In 2014, Felipe launched a podcast entitled, “What’s Up Fool?” on the All Things Comedy network started by Bill Burr and Al Madrigal. In its first week, it entered the top 15 comedy podcasts and the top 70 podcasts in all categories. It quickly became a fan favorite with a strong, loyal following. It is available on iTunes, Stitcher, and SoundCloud. With his signature wild hair, and his often-imitated phrase, “what’s up, fool?”, he has been associated with his friend Gabriel Iglesias, who often recounts (and imitates) his experiences with Felipe in his act. The comedian and actor will bring his raw, real-life stand up act to Visalia next month. He will perform on Friday, Feb. 1 at the Visalia Fox Theater with special guest Rodrigo Torres, in a live performance presented by Prairie Entertainment. 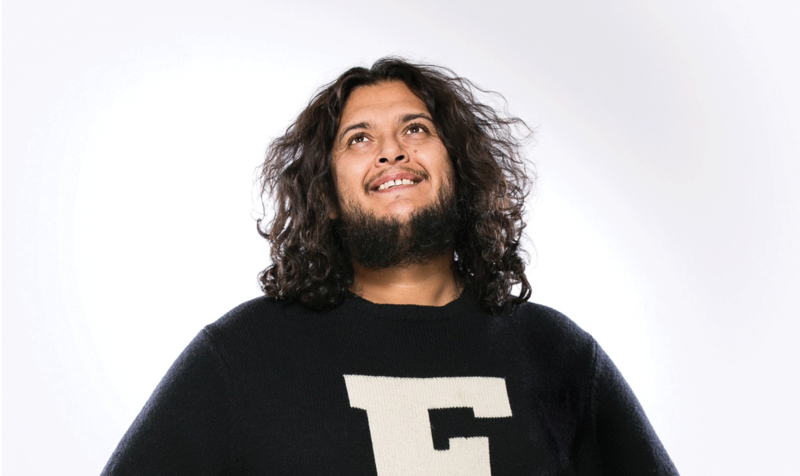 Felipe’s other television appearances include a national Honda campaign, a national Target commercial, The Eric Andre Show, regular segments on TruTV’s “World’s Dumbest…”, “The Arsenio Hall Show”, “Comics Unleashed”, Comedy Central’s “Premium Blend”, and “Russell Simmons Presents: Stand-Up at the El Rey”, Showtime’s “Comics Without Borders”, TBS’s “Lopez Tonight”, and Galavision’s first English-speaking show, a stand-up comedy show called “Que Locos” (which spurred the careers of both George Lopez and Gabriel Iglesias). Felipe is currently touring comedy clubs and theaters across the country and is working on his next hour standup special. Tickets range from $20 to $49 and can be purchased online at foxvisalia.org or at the Visalia Fox Theater box office, 300 W. Main St. in downtown Visalia. Doors open at 7 p.m. with show time at 8 p.m. For more information about the Visalia Fox, call 559-625-1369.